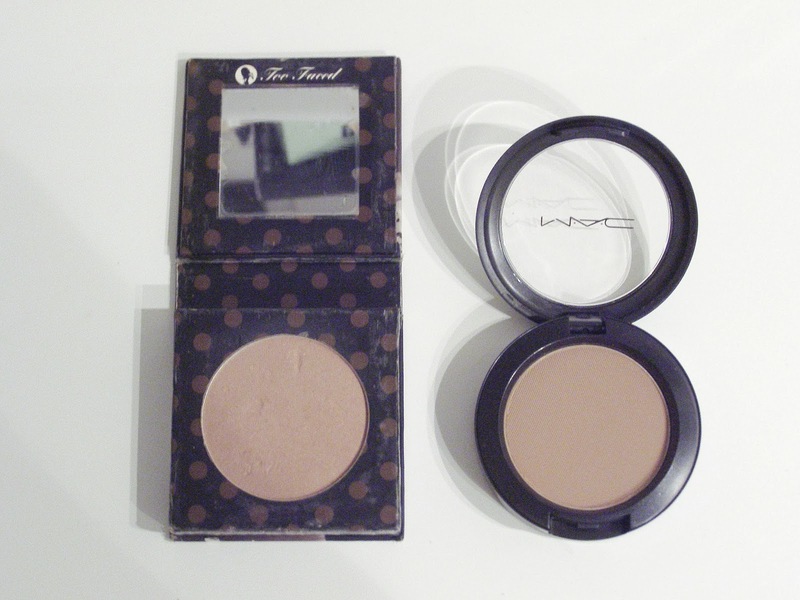 Bronzer or blusher have not always been staple items in my makeup bag. Being half Greek i have always got a natural tan from the sun so never really saw the point of it. Ohhh how differently do i feel now about them. Now they are a firm part of my makeup routine and am unable to understand how i ever lived without them before. I have two blushers that i like to alternate between the first being my MAC Powder Blush. I would say i use this one on a day to day basis. It has a matt finish so relatively easy to blend in with your makeup. I also love the colour so tend to actually use it as a eye shadow aswel. I just put a little bit on my lids just to give my everyday look something different. My Second Blush that i use is the Two Faced Mocha Mi Amore. This blush i will tend to use if i am going out. It is a slightly softer shade than the MAC but has spec of glitter in it so just jazzes the look up with some sparkle. What are the staple bronzers that you own?